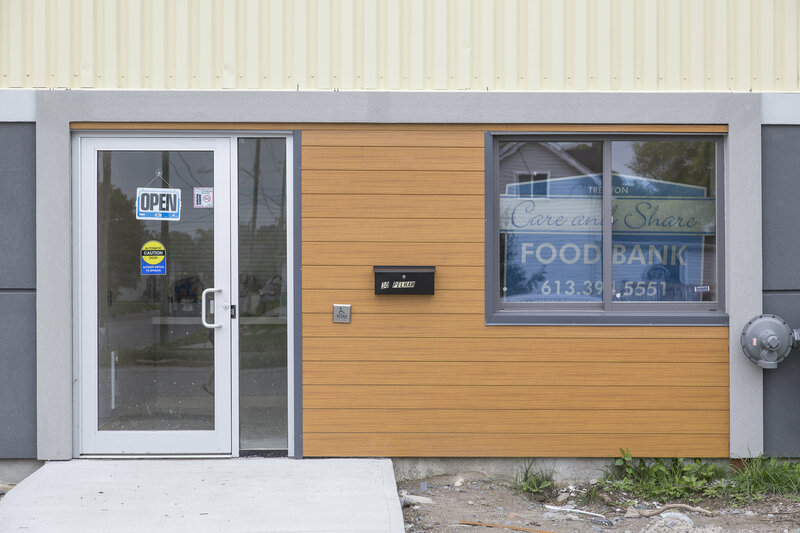 Care & Share Food Bank has moved and we’re officially open in our new location! Our new address is 30 Pelham Street, Suite 2, Trenton, ON, K8V 5A7. Our phone number (613-394-5551) and email address (caresharefoodbank@bellnet.ca) have remained the same. 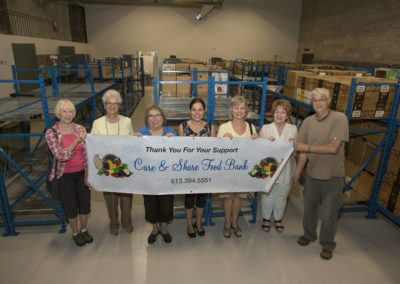 The Care & Share Food Bank is an independent corporate organization free of any government funding. We are a proud and active member of the Ontario Association of Food Banks and in good standing with Canadian Food Banks. We accept donations from the general public, service clubs, churches and business organizations. All money donations are given a tax receipt as we work under the Charitable Gifts Acts #119268845RR0001. This bill provides that a person who donates food or who distributes donated food is not liable for injuries or death resulting from the consumption of the donated food unless the person intended to injure the recipient of the food or acted recklessly in donating or distributing the food. 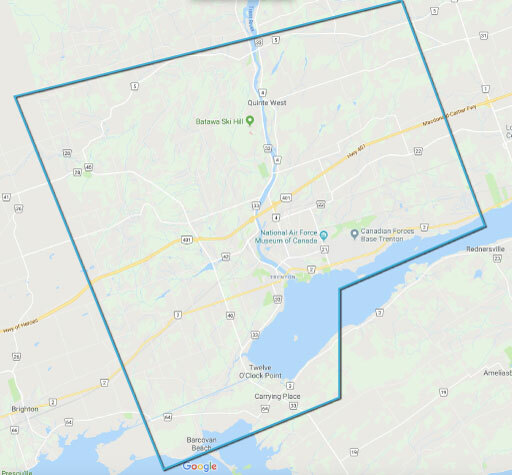 Our Mission is to serve the people of Quinte West within our OAFB designated borders by providing food and assistive services to families during their time of need. From the lake shore up the west side of Montrose Road subdivision to Wallbridge; then west along Frankford Road 5 to Stoney Point Road in Wooler; then south to the lake shore back along to Carrying Place then east along the shore line back to the start point. 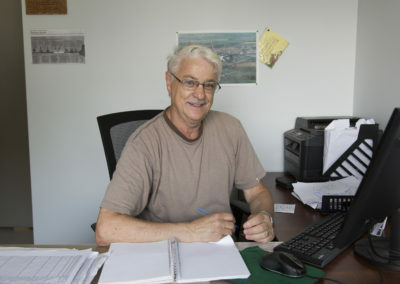 The idea of a food bank in Trenton goes as far back as 1985 when a dedicated group of people at St. George’s Anglican Church, Trenton began looking at the poverty issues of the day. Mayor Neil Robertson and City Council gave it their fullest support in June 1987. The Care & Share Food Bank owes its existence to the dedication of Donna Warren and her Steering Committee, consisting of: Alice Weese, Shirley Fraser, Jean Gunter, Wendy Parker, Barbara Dolton and Dorothy James all from St. George’s Church, Trenton. People needing assistance were taken care of by churches and social agencies. It was not a new phenomenon. The perceived need at the time was awareness that there were working poor in our community that needed help to make ends meet after paying rent, heat and lights with nothing left over to buy food. The Food Bank was developed as a temporary emergency measure to offer help to those in financial difficulty. The first home for the food bank was located at King and Divisions Streets at Trenton’s old Police Station donated by the Trent Port Historical Society. The first a manger was Susan Albert who held this position for two years 1987-1989. It was located there for five months after July 1987 when it first opened its doors. They had to move because the old Police Station was without heat, water or hydro and in need of renovations. With the help of personnel from 8 Wing Trenton, the move was made to another location. The new location was provided by Parks and Recreation at 344 Dufferin Avenue It moved there in November 1989. No charge was levied against the food bank use by the City Council. Rose Bowman because the new manager on September 18, 1989. She held that position for two years until 1990. 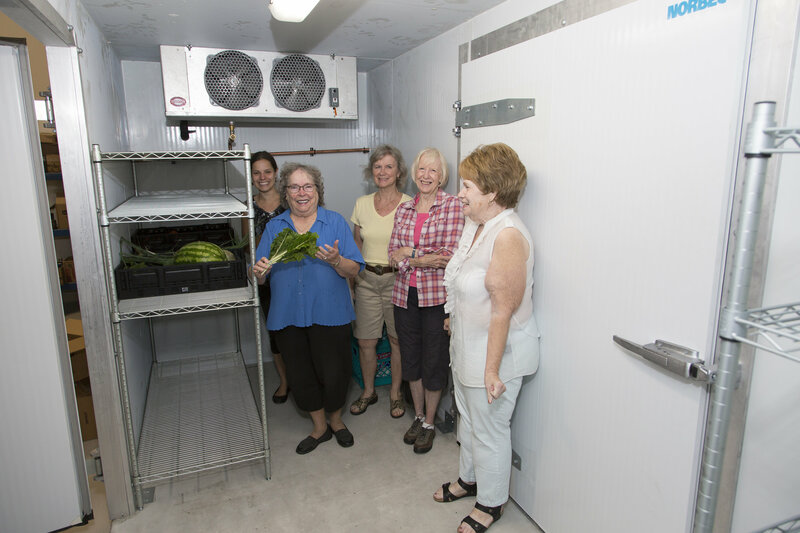 The Food Bank operated out of the Dufferin Centre for 17 years until it was sold to provide for the Seasons Dufferin Centre for retirees. In that time three more managers were in charge of operations. They were: Rick Ricard (1990-1995); Les Baxter (1995-1997) and the present manager Al Teal. The City initially provided the Food Bank with rent-free accommodation at the Dufferin Centre. Over time a monthly rental fee of $285.00 was imposed. When the City gave notice of eviction to be out by August 31, 2006 the food bank had to find a new home in the private sector. A new location was found in the private sector in the old Marmora Street High School. It came with a cost. The rental went from $285 to $900 per month plus heat/lights and water costs. Once again, the base came through with the needed help to move the Food Bank. The move was made on the 3rdof May 2006 with the help of ATTESS 8 Wing Trenton. 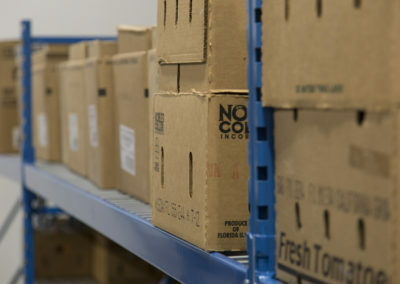 In July of 2010 the food bank had to move for a third time with the help of ATTESS once again. It moved to 38 Guelph Street at a rental cost of $1400 per month plus heat/lights and water costs. In 2018, it was time to move the Food Bank into a permanent location. With the assistance of the City of Quinte West, the Food Bank moved to 30 Pelham Street in August 2018. 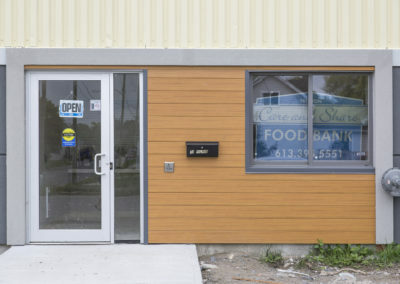 This city building was renovated with the specific needs of the Food Bank in mind. We’re excited to move forward in serving our community from this new location. How do I know if I qualify to use the Food Bank? 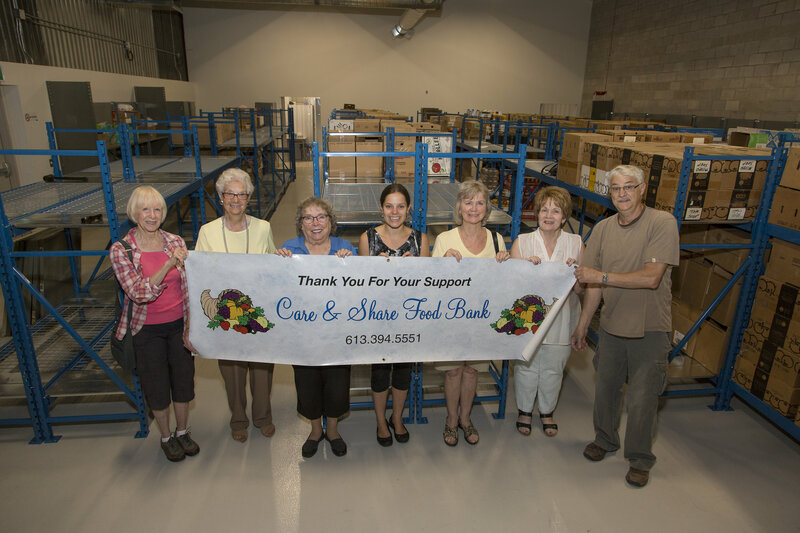 The Care & Share Food Bank exists to be an emergency source of food in our community. Emergencies come in many shapes and sizes, including but not limited to: job loss, unemployment, illness and unexpected life events. We are here to help those who do not have enough income in a month to cover their necessary monthly expenses on top of providing food for their family. What do I need to bring with me on my first visit to the Food Bank? No appointment is necessary. Clients are served in the order of their arrival. Visits usually take around 20 minutes at most. I’m working or not available to visit during the hours you are open. Can I send someone on my behalf? Can I arrange to visit outside of the food bank’s normal operating hours? Do you deliver? Anyone in your household may visit on behalf of your household if they have the necessary documentation and are 18 years of age or older. 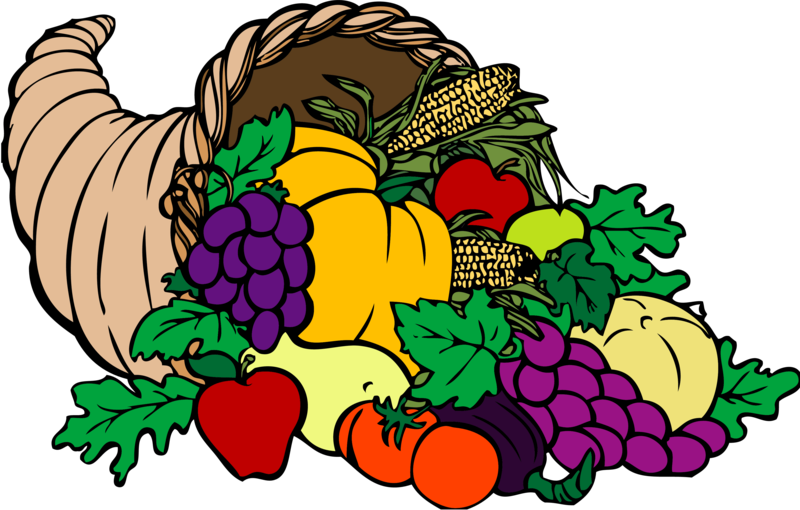 If you cannot visit during regular operating hours, please contact the Food Bank Manager at caresharefoodbank@bellnet.ca or 613-394-5551. We do not do deliveries. How often can I visit the Food Bank? Each household may visit the food bank up to once per month (12 times per year). How much food do you give out? Food quantities are based on how many people are in the household. What kind of food do you give out? We mainly distribute non-perishable items (canned, boxed or otherwise pre-packed). Based on availability, we also distribute meat and other perishable food items. Why did I receive food that was past its “best before” date? Even though a food item is past its “best before” date, it doesn’t mean it is not good or safe to eat. The Canadian Food Inspection Agency site states: “Best-before dates are not indicators of food safety, neither before nor after the date. You can buy and eat foods after the best-before date has passed.” Many people waste food because of their concern about food safety when the date on the label has passed. 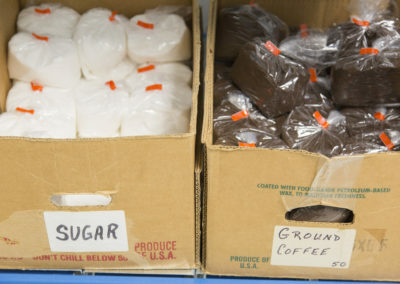 Date labels on food are for nutritional or food quality, not food safety. Most food does not expire. 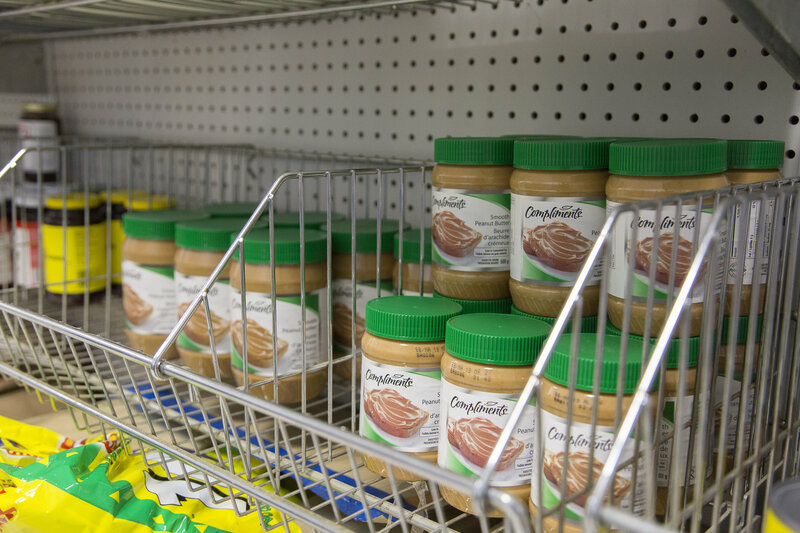 There are three types of date labels found on most foods in Canada: 1) Expiry date – limited to special diet foods including infant formula, meal replacements, and nutritional supplements. 2) Best before date – for food that may spoil within 90 days of being made. 3) Optional date – for foods that keep their quality longer than 90 days (e.g. 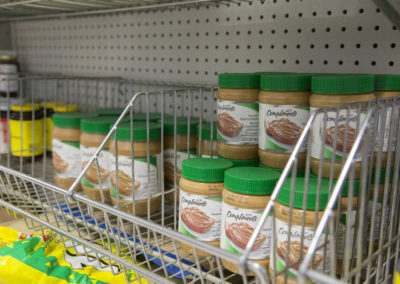 shelf-stable foods sold in cans, jars, and bottles; dry goods such as crackers, rice, and pasta). 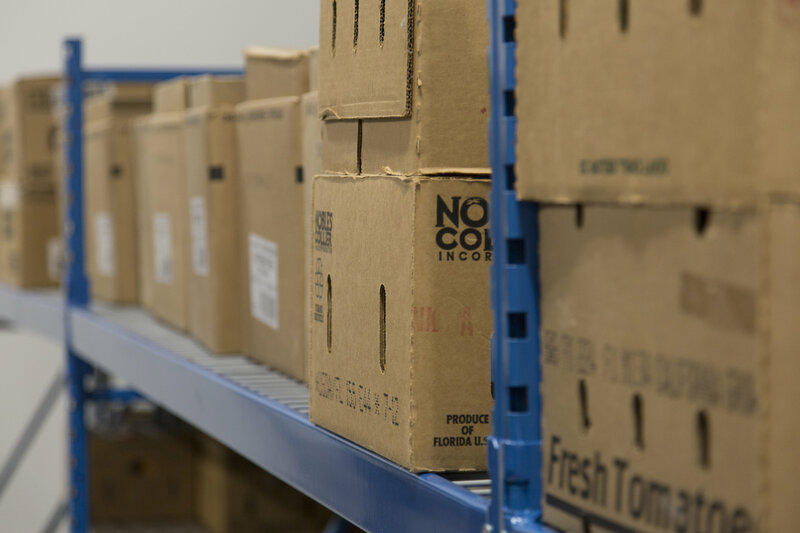 Shelf-stable foods often keep good quality and safety months to years past the best before date, if stored properly. 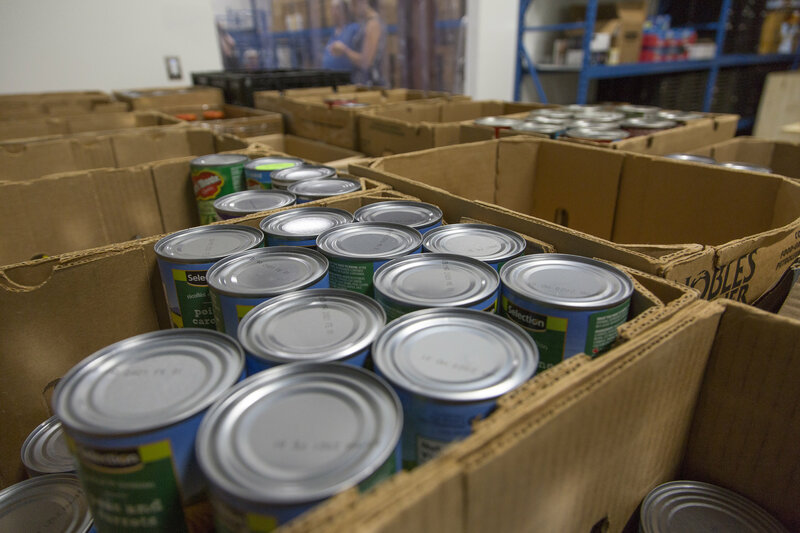 Canned good with low acid (such as canned meat, fish, stew, soup, beans, corn, peas, spinach or pasta) can be kept for 2-5 years unopened in storage. Canned goods with high acid (such as juices fruit, pickles, sauerkraut, tomato soup and foods in vinegar) can be kept for 12-18 months in storage. If you have questions about specific food products, feel free to visit the manufacturer’s website to see their policy on the best before dates they include on their products. For more details about food safety, check out the Safe Food for Canadians Act, Food Bank Canada’s Guideline for Distributing Food Past the Best Before Date and this article on how to Keep Food Safe to Reduce Waste. Do you give out pet food? No. If you are in need of pet food, check out Brighton Pet Food Bank on Facebook or call them at 1-905-376-4323. What other food-related programs and services exist in the Quinte West area? Salvation Army Community Church – Provides year-round access to their Food Bank & Lunch Program (Monday to Thursday) and also run a Christmas Hamper program in December. Contact 613-392-9905 or rob_hardy@can.salvationarmy.org for details. Free Lunch Programs – The last Friday of each month at Andrew’s Presbyterian Church (16 Marmora Street, Trenton). Trenton United Church (85 Dundas Street East, Trenton) also provides a free lunch on the 1st and 3rd Friday of the month. Frankford Food Pantry – For those located in the Frankford area. Click here for more details or call 613-398-6386. Good Food Box – Opportunity to purchase healthy fruits and vegetables for your family at great prices. Click here or contact the Program Secretary at 613-962-0000 ext. 233 for details. Good Baby Box – Helping you reduce the costs in providing your baby with everything they need for a healthy start. Click here or contact Bev at 613-968-2466 for details. For details beyond the Quinte West area, check out the Food Access Guide for Hastings & Prince Edward County. What food items do you need most? While all items are appreciated, items we may be short on at any given time will be posted here. Where can I bring my food donations? You can bring food donations directly to the Food Bank during operating hours. You can also bring your donations to one of our many drop-box locations, which can be found at the following businesses in our community: Freshco, Metro, Walmart and Smylies Independent. Please make sure that donations brought to these locations are non-perishable. Trenton Care & Share Food Bank, 30 Pelham Street, Suite 2, Trenton, ON K8V 5A7. You can bring a cash or cheque donation directly to the Food Bank during operating hours. You can donate online here, through CanadaHelps. Please note that CanadaHelps will deduct up to 4% off your donation to cover their own administrative costs. Is it better to donate money or food? Both monetary and food donations are beneficial and gladly accepted. Monetary donations allow us to cover additional expenses that are essential to running the Food Bank (i.e. transportation of donations), as well as allowing us to stock up on food items when they go on sale. 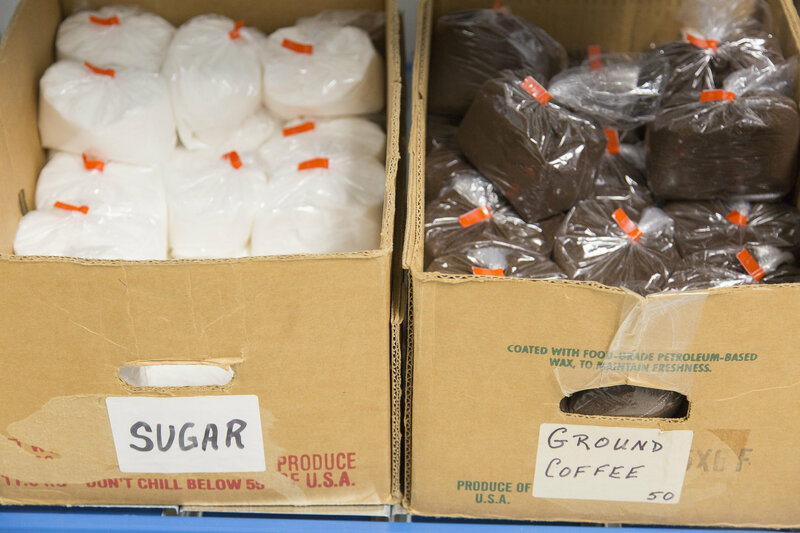 Food donations provide us with direct, specific and immediate ways to serve our clients. I would like to volunteer. How can I do that? Regular weekly volunteers. These volunteers commit to helping weekly on a specific morning of the week. If this is something you’re interested in, please contact the Food Bank Manger at 613-394-5551 or caresharefoodbank@bellnet.ca to check availability. Organize a food drive. We love it when people organize a food drive within their own sphere of influence and donate the proceeds to Care & Share. This not only is a great way to bring in donations, but also increases awareness of what the Food Bank does in our community. Help at our Annual Food Drive. Every October, we conduct our annual food drive. We are always looking for volunteers to help with this annual event! For more details about this year’s drive, click here. I have a done a food drive at my workplace, business, school, etc. Can you pick up these donations? Yes, please contact the Food Bank Manager at 613-394-5551 or caresharefoodbank@bellnet.ca to arrange the details. I would like to set up a drop-off location at my business (etc.). Is this possible? Yes, please contact the Food Bank Manager at 613-394-5551 or caresharefoodbank@bellnet.ca to discuss the details. Do you accept donations of fresh food (i.e. from my garden) or frozen food? Yes, we do. Please ensure these donations are dropped off directly to the Food Bank during operating hours to ensure timely distribution and/or storage in fridge or freezer. Do you accept donations of hygiene items (i.e. shampoo, toothpaste, toilet paper, etc.)? Yes, donations of hygiene items are gladly accepted. Do you accept donations of pet food? We do not accept donations of pet food. Will I receive a receipt for my monetary donations? Yes, all donations that are $10 or more are tax receipt-able, if a mailing address has been provided. You will receive a receipt in the mail or at the Food Bank office when the donation is made. Will I receive a receipt for gifts-in-kind donations? Yes, if you have a market value receipt for the gift-in-kind.